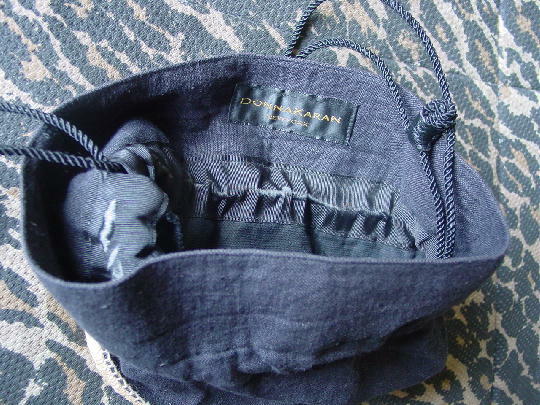 This extra thick black canvas (fabric) Donna Karan New York purse has an inner black cord double drawstring closure. 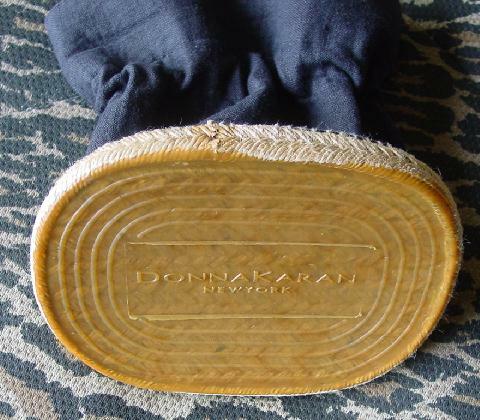 The outer bottom rim is a natural color woven twine rope. 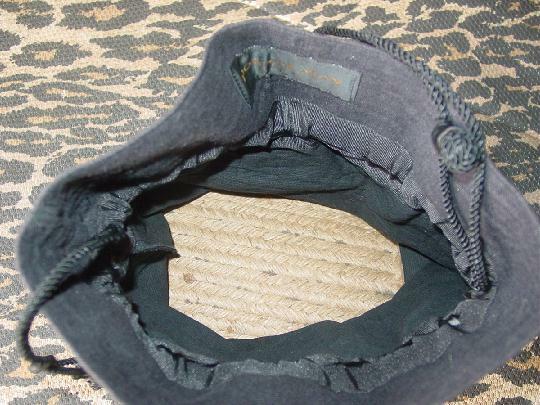 The top part of the rim shows the fabric through tiny woven squares. 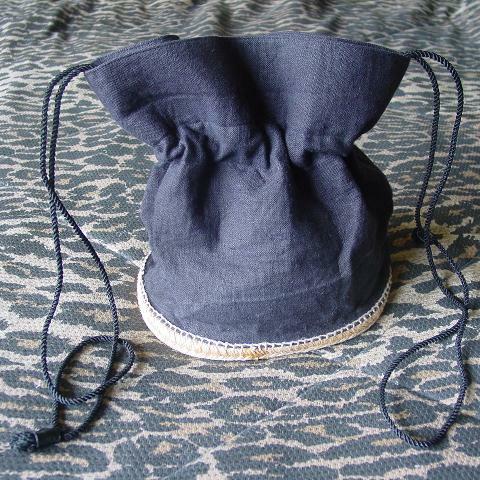 The fabric above the drawstring is double-sided. 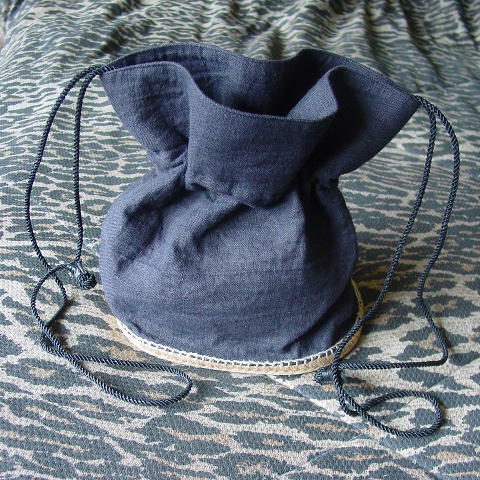 The inner bottom of the purse is the natural color twine-rope. The outer bottom is a clear rubberized plastic.